The venue was welcoming and cosy and once I walked in the door I got chatting comfortably to a mix of interesting people including graphic designers, researchers, film makers and communications specialists. Then Dawn Newton, the organiser, asked us to stand in a circle and tell the group something about our work that we were proud of. It was moving to watch people open up and share their achievements. We are somewhat reticent in the charity sector and blowing our own trumpet doesn’t come naturally but by the end of the exercise we were all glowing with collective pride! It was a worthwhile exercise and was the catalyst for a series of conversations that followed. It was a chance for me to share something that I’m really proud of: that alongside a traditional written research report, I also wrote a graphic novel about migrant integration which has influenced local government policy and is now being used by hundreds of people as a community training resource (see: https://alicesachrajda.com/publications-creative-outputs/creative-outputs/). It would have been good if more charity sector employees had come along. I think they would have benefited from meeting such a diverse group of people buzzing with creative ideas and passion for the social sector. 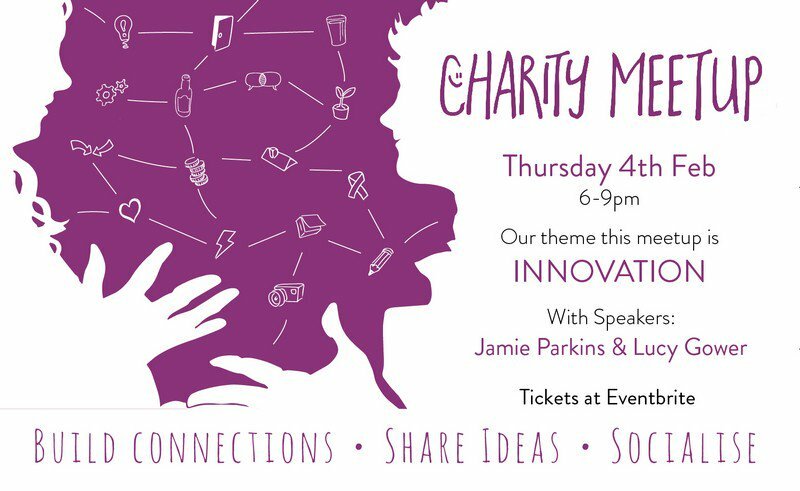 I’ll certainly be encouraging my charity contacts to come along to the next Charity Meetup themed around innovation on 4th February. This blog was originally featured on Dawn Newton’s site in December 2015.